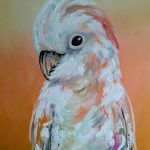 A self taught artist ,Amanda Skye has grown up in the small town of Helensburgh in the Northern Illawarra region .Amanda’s inspiration is acquired through her strong connection and passion for wildlife , plants and landscapes …basically anything related to nature . 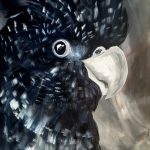 Amanda has a great appreciation for wildlife and nature growing up and having a career surrounded by animals ,picturesque seascapes and natural formations such as rockpools . 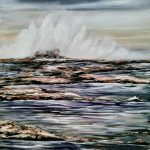 Amanda’s selection of techniques has been carefully developed over many years producing pieces using an array of mediums such as acrylic , watercolour, spray paint and mixed media. 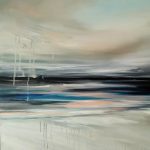 ‘ I paint according to my surrounds and emotions at the time challenging myself to develop different techniques ‘. 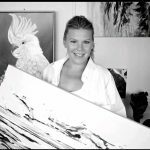 ‘ I try to live a simple yet colourful life and I love to reflect that in each piece tapping in on my intuition’. 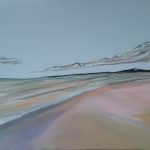 A quiet person by nature , Amanda loves the feel and grounding emotion a seascape/landscape or still life (plants) can bring ,a relaxing yet vivid state where you could just stare at the colour variations for hours and be at peace . She believes her landscapes make you stop and think of things that matter in your life or purely just find a quiet space to be . 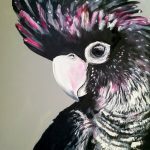 While Amanda loves to create sometimes dramatic emotion with her landscapes , she has a strong connection with fine details and character building when it comes to her wildlife .Having developed a career as a travel agent and wildlife educator while actively being a part time artist prior to children , this feed her desire to continue in the landscape , plants and wildlife fields on canvas and ply after discovering her feather art pieces which she continues to do today . 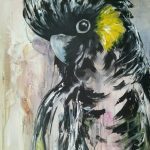 Amanda carefully studies each living creature , each muscle , each feather and each individual species and traits with her wildlife after developing a wealth of knowledge and love in this field , especially birdlife.